What’s in a name? Mr Chunky, ridden by Irishman Padraig McCarthy, looked one of the fittest horses in the field, giving his jockey a brilliant Badminton debut and bouncing home with only 6.4 time penalties to add to a good dressage score of 28.9. Padraig, who only started eventing in 2013, was quick to credit his wife, Lucy, pregnant with their second child, for the horse’s fitness work. “Without a such an experienced support team, someone like me coming into the sport so late would have no hope of achieving something like this. 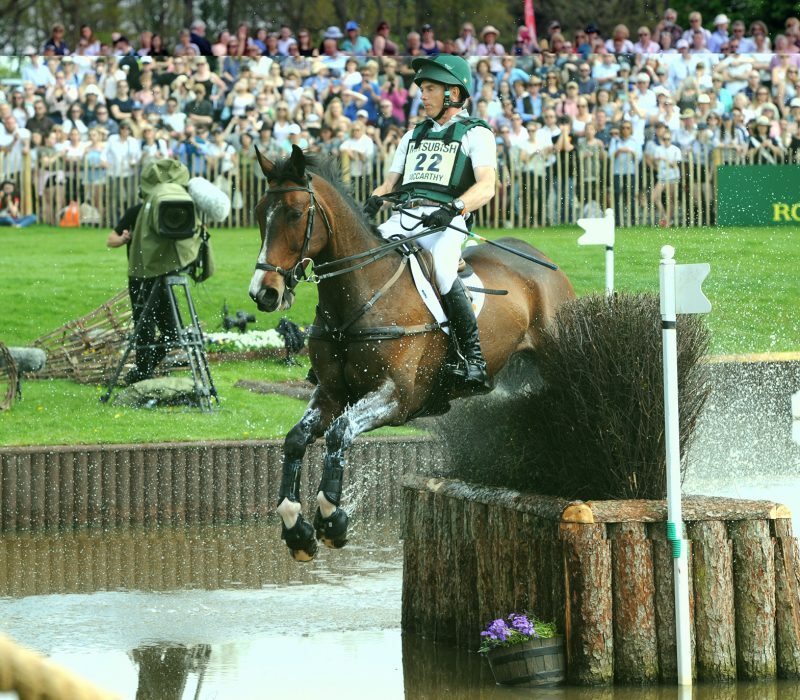 Lucy (nee Wiegersma) was second at Badminton in 2008, but, since having children, has handed over her top rides to her husband, who has had one of the more interesting routes into the sport. His background is in showjumping, working for such names as Ralf Goran Bengtsson, before he turned to academia, gaining a first-class degree in economics and finance with German, plus a PhD and being published in academic journals, before returning to producing horses – this time eventers with Lucy at their Devon base. Padraig’s rise has been meteoric – he has represented Ireland at European and Olympic level, was part of the winning nations cup team at Boekelo in 2016 and last year finished seventh at Blenheim on Mr Chunky, a horse produced to four-star level by Lucy. Mr Chunky is by Jumbo, the same sire as Andrew Nicholson’s triple Burghley winner, Avebury.